As pool operators turn their attention to supplemental disinfection, there is a lesser understood, yet powerful alternative to UV that is making a big splash: ozone sanitation. What is ozone and why should you know about it? Chlorine has been the standard water treatment method since 1961, when the United States Public Health Service published its model ordinance governing public pool water sanitation. 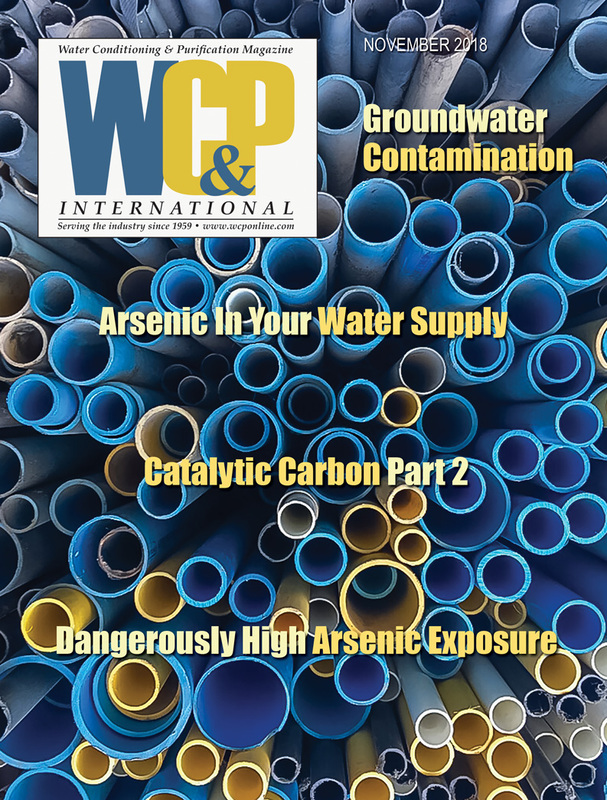 Today, as scientists learn more about the limitations and potential hazards of chlorine, and as recreational water illness (RWIs) outbreaks are on the rise, talk of supplemental disinfection is gaining more than momentum and earning acceptance. Supplemental disinfection is used in commercial pools to mediate the inherent weaknesses of chlorine, providing a safer water experience for swimmers and pool employees. The two key technologies that form the mainstay of the discussion around supplemental disinfection are ozone and UV. Ozone oxidizes cell membranes, causing osmotic bursting (instantaneously) and continues to oxidize enzymes and DNA until the cell is eliminated (reduced to its elemental constituents i.e., carbon dioxide and water). UV affects the DNA and RNA of the cell, disabling it from replication. UV has been relatively well understood and recommended by pool designers, whereas ozone (a rapidly-advancing technology) has been largely ignored, despite the many compelling reasons to choose it over UV. DBPs are chemicals formed when a disinfectant combines with organic matter or other chemicals present in water. Most commonly, these DBPs are chloramines, which exist as three different forms or species: monochloramine (NH2Cl), dichloramine (NHCl2) and trichloramine (NCl3). 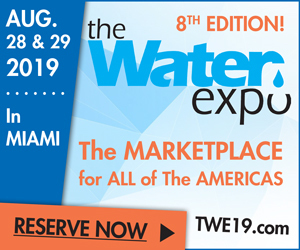 Chloramines and RWIs are the key reasons for supplemental disinfection coming to the forefront of aquatics water sanitation. These species can be a combination of many organic and inorganic water contaminants, thus, they are more appropriately called chloramines. Trihalomethanes (THMs) are also DBPs that are formed when organic matter in the water combines with chlorine. THMs are not the only problem in recreational water. Chlorine is well known to react with organic material in pool water, creating unwanted chloramines, which can cause foul odors, skin, eye and ear irritation, swimmers asthma, and can even damage indoor air-handling systems (HVAC). Since the discovery of chloramines in the 1930s, the unending challenge for pool operators has been to balance antimicrobial efficacy (keep the water sanitized) and swimmer safety (eliminate chloramines). Additionally, an increasing number of RWIs caused by chlorine-resistant microorganisms have become more common over the past two decades as repeated outbreaks of illness caused by Pseudomonas aeruginosa, E. coli, Staphylococcus aureus, Giardia and Cryptosporidium parvum (Crypto), to name a few. Technically speaking, chlorine should be able to handle common RWIs, with the exception of chlorine- resistant Crypto. As repeated RWI outbreaks have shown, however, conventional chlorine treatments alone will not do the job. The less than ideal efficacy of chlorine has inspired the Centers for Disease Control (CDC) to compile a Model Aquatic Health Code (MAHC). Soon to be published, the MAHC will highlight the importance of supplemental disinfection systems (SDS). When the present draft is adopted, the MAHC will list ozone and UV as accepted technologies for commercial pool SDS. Meanwhile, several states have already mandated the use of SDSs for their high-risk swimming venues; for example, the state of Pennsylvania includes both UV and ozone in their 2008 Operational & Biological Contamination Protocol Recommendations for aquatics facilities. It is likely that additional states will soon adopt the MAHC for public aquatics facilities. With this in mind, operators and officials are wise to consider ozone sanitation. Which should you support: UV or ozone? UV achieved earlier adoption among pool designers for its simplicity. Ozone, on the other hand, has been used to sanitize municipal water for the past 100 years, is widely used in aquatic life-support for mammals and fish in commercial aquariums and zoos, and is the primary supplemental sanitation technology for the hot-tub industry. Despite all of this, ozone has yet to earn its place in supplemental disinfection for commercial pools. A big reason for ozone’s lack of acceptance in the commercial pool world is its perceived complexity and common misconceptions about what ozone is, how it works, and how it compares to UV. Widely used in municipal water treatment worldwide and commercial pools in countries outside the US for more than 100 years, ozone is earning its position as a supplemental disinfection system within the US. Ozone consists of three oxygen atoms that, when dissolved in water, kill pathogens, other microorganisms and organic contaminants through oxidation. It is an unstable molecule because the third oxygen atom is connected to the other two atoms by a weak bond. This unstable third oxygen atom can combine with organic and inorganic molecules to destroy or change them through oxidation. 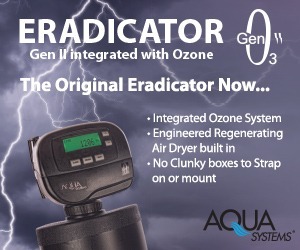 Ozone sanitizes the water quickly and effectively, without the undesirable byproducts created by traditional chlorine. It is an efficacious antimicrobial oxidizer. When used in conjunction with low-dose chlorine, pool water quality and clarity is improved. These water quality improvements result from ozone’s potent and rapid oxidation of organic and inorganic compounds. Beyond their effectiveness, ozone systems are energy efficient, safe for pool patrons and cause no structural degradation to the pool, the facility or HVAC system. How does an ozone system work? • Ozone destroys substances chlorine can’t effectively eliminate, like human fluids, cosmetics and organics of all kinds. • Ozone controls the chloramine levels in the water to 0.2 ppm or less. • Ozone can eliminate shocking for chloramine reduction. How does ozone compare to UV? While two completely different technologies, there remains confusion about the difference between an ozone system and a UV system. The difference between the two systems essentially is: UV kills germs with light energy, whereas ozone kills germs as an oxidizer. Ozone gas dissolves in water to kill microorganisms, destroys organics that create chloramines and breaks down exist- ing chloramines by oxidation. This oxida- tion happens immediately at the ozone gas injection point and continues as the side stream remixes with the main return. A small residual (~0.1 ppm) of dissolved ozone then enters the pool, providing further oxidation of contaminants and acts as a micro-flocculate for optimal water clarity. There are no consumables in an ozone system. Additionally, this reaction reduces the amount of chlorine needed because ozone continues to oxidize the water, a job for which chlorine is nor- mally relied upon. Meanwhile, UV light inactivates microorganisms and breaks down chloramines with light energy. This happens only while the water is in the UV chamber and as long as the water has no turbidity. Once the flow leaves the cham- ber, no further process occurs. UV pro- vides no oxidation except trace amounts as a result of the formation of a limited number of hydroxyl free radicals. Ozone and UV technologies are comparatively priced; however, ozone systems have a larger footprint than UV. Operational costs of each system vary with the local price of electricity. The minimal maintenance and reduced chemi- cal requirements of an ozone system, however, can create cost savings that can result in a system payback of three to six years on a 100,000-gallon (378,541-liter) pool, varying by bather load. UV lamps must be replaced every three to 12 months and must be figured into the maintenance costs for these systems. As evidenced by the current move- ment toward supplemental disinfection, the safety and health of our public rec- reational waters is of great concern to aquatics facility operators and officials. When deciding upon the appropriate supplemental disinfection system for commercial or public pool operations, it will be worth the effort to compare ozone and UV. Beth Hamil, Vice President of Corporate Compliance for San Luis Obispo, CA-based DEL Ozone (www.delozone.com), has been active in aquatics since 1978 and in the ozone industry since 1982. 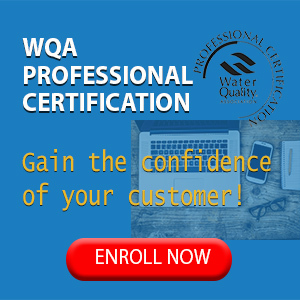 During this time, she has been deeply involved in formulating standards and guidelines for supplemental disinfection and ozone aquatics, and educating industry and public audiences about ozone sanitation through her writing and speaking engage- ments. Hamil may be contacted by email, beth@ delozone.com or phone, (800) 676-1335.